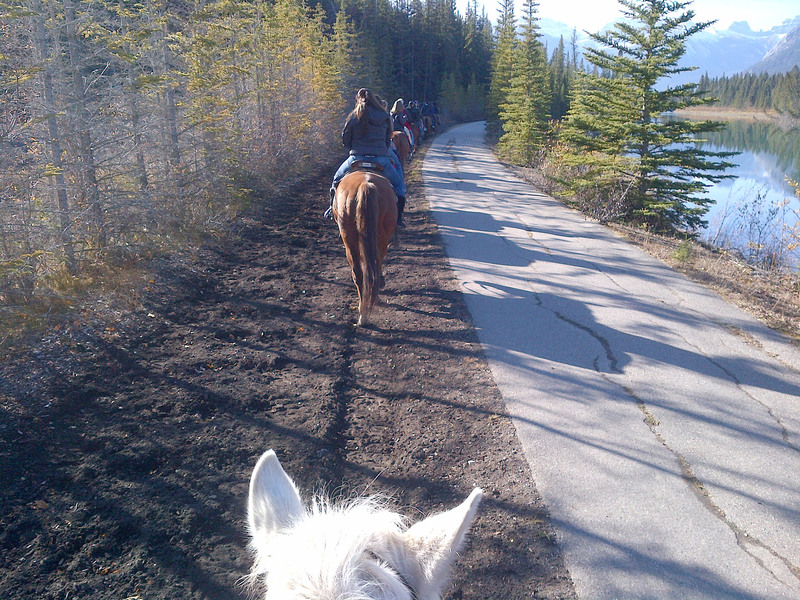 Last week I had the opportunity to go on a two-hour trail ride near Banff, Alberta with some colleagues. 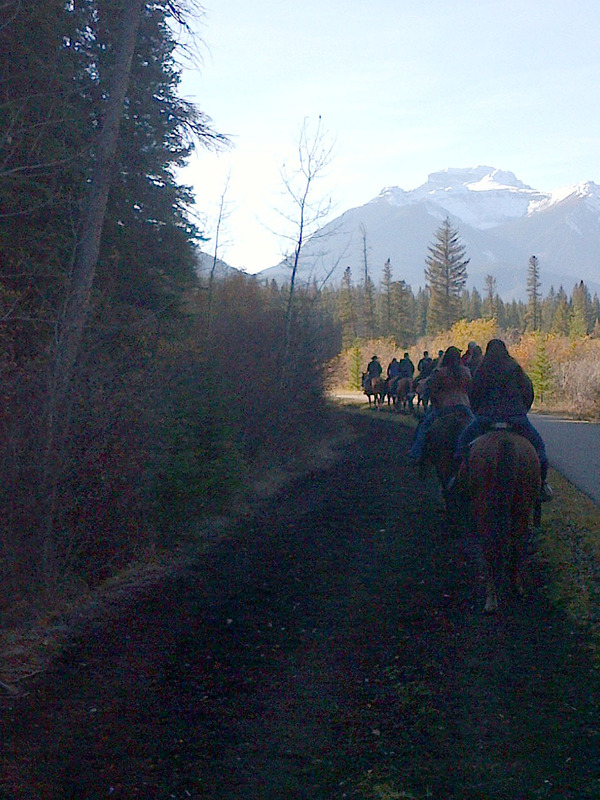 It was a beautiful day for a leisurely ride surrounded by mountains, trees and rivers. My white horse named Snoopy was in no hurry to get anywhere. I occasionally had to get him moving a bit faster! But he was well-behaved and didn’t insist on stopping to graze like some of his friends. 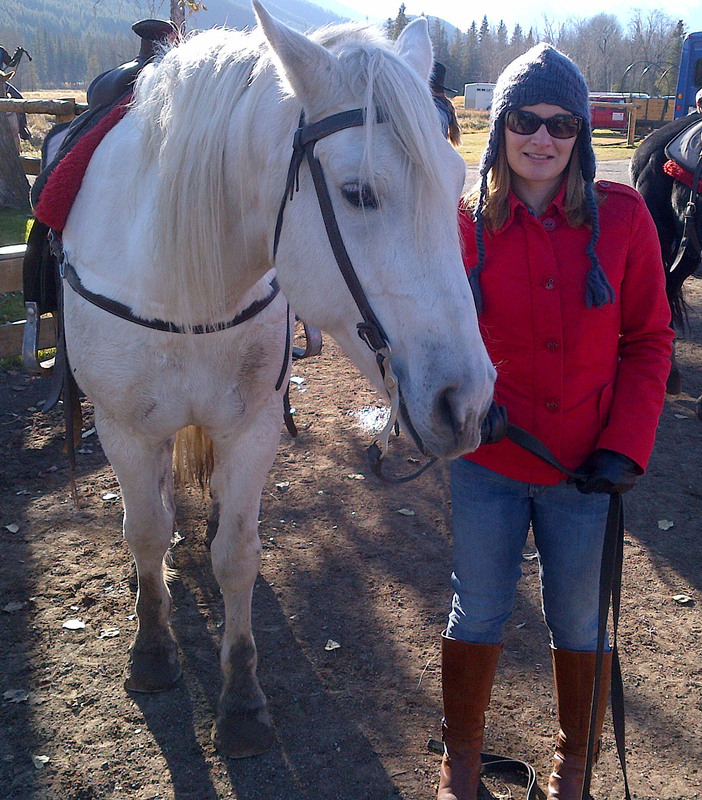 I had a great time and look forward to future horseback riding adventures. Snoopy and I after our trail ride. On the trail… follow the leader. I discovered it’s not easy taking photos when you’re bouncing along on a horse. Some of the beautiful scenery along the trail ride. Thanks for reading! 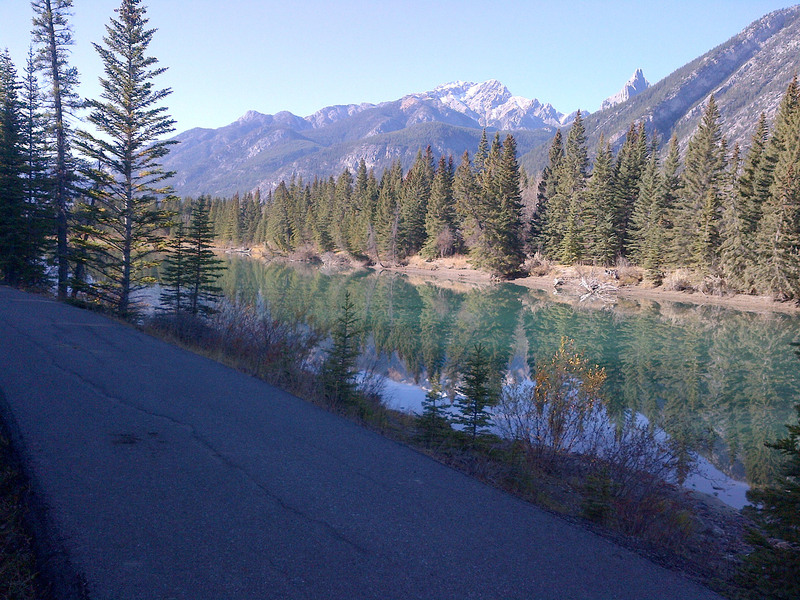 You should definitely go riding near Banff – I highly recommend it. I took riding lessons as a child and loved them. My secret dream is to have a horse of my own someday (though I don’t know the first thing about horses – other than I adore them – and I live in a city and horses are expensive.) Taking riding lessons again is on my 30 Before 30 list, and seeing your pictures totally reaffirmed it’s something I need to do. Thanks for reading, Jen. It was a fun time on a beautiful day.